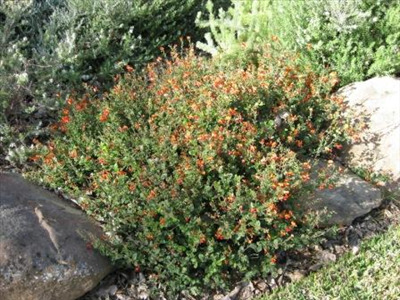 Attractive low shrub, 3-5' with deep green leaves and bright orange, red & yellow pea flowers that appear in winter-spring. If pruned lightly after flowering it will prolong the life of the plant and extend flowering time. Prefers partial shade but will grow in full sun, fast growing and likes well-drained soils. Tolerant of moderate (25F) frost. Good container plant. 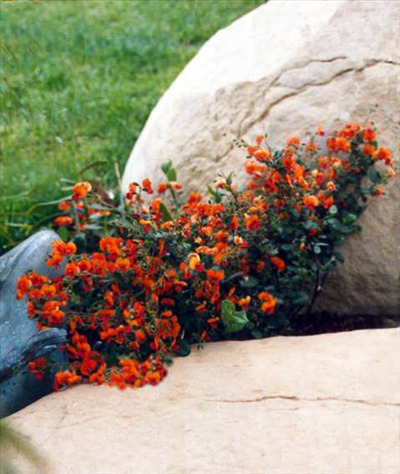 UCSC form often available Chorizema 'Bush Flame'. Likes some summer water in garden situation.